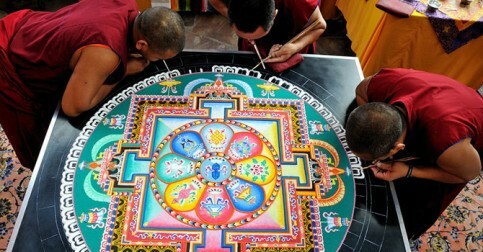 Tibetan Buddhist monks have created sand mandalas for over 2,500 years, as it remains one of the religion’s most beautiful and symbolic traditions. 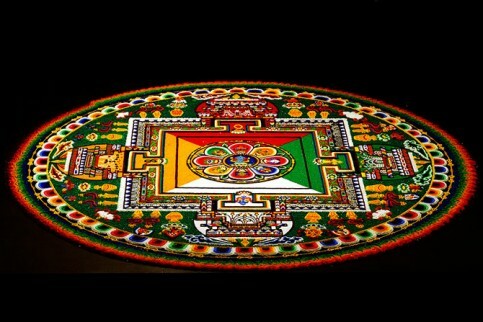 Each mandala has a center point that is surrounded by a circle, a perfectly symmetrical design of specific meaning, and an accompaniment of various religious deities and symbols. They are created as a representation of the universe and are said to heal the environments as well as the individuals portrayed within them. 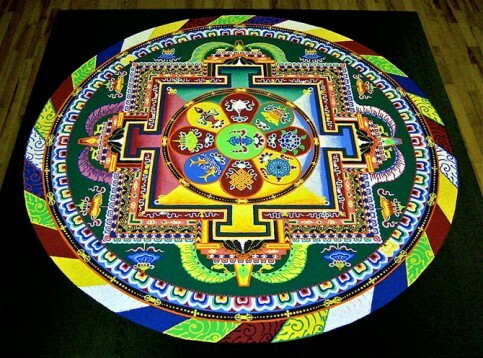 A single mandala can take days or even weeks to complete. 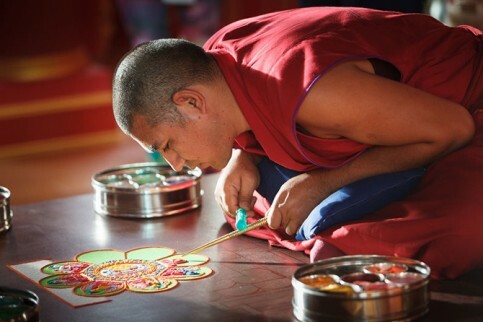 To begin the creation of a mandala, the monks initiate an opening ceremony of mantra chanting and musical ritual to consecrate the land on which they shall create. 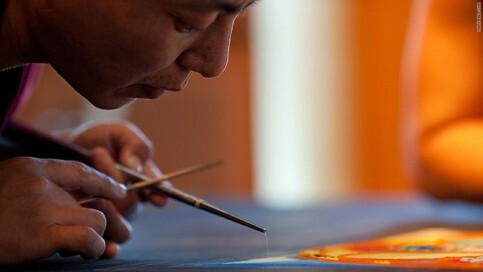 Then, one of the artists begins by drawing an outline using a ruler, pen, and compass, drawing from memory alone. 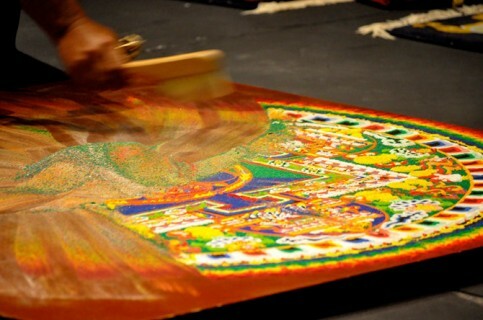 Once the outline has been created, the monks work together, delicately pouring sand onto the canvas using their tools to create a vibrant, unimaginably detailed, three-dimensional mandala. 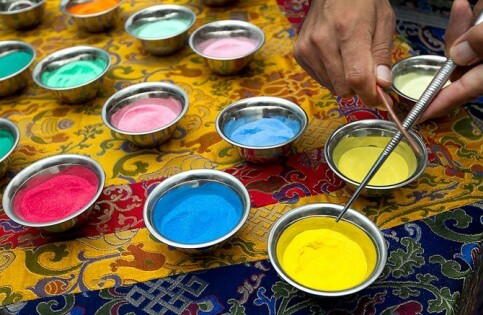 Daily prayer and meditation is involved in the process of creation. 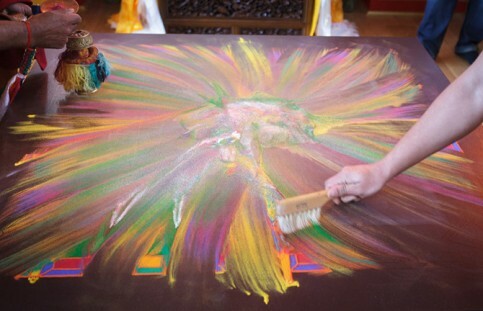 When the mandala has been completed, the monks perform a dismantling ritual where the painting is swept away in a particular order and dispersed into the ocean as a symbol of the impermanence of life and a demonstration of non-attachment to material objects. 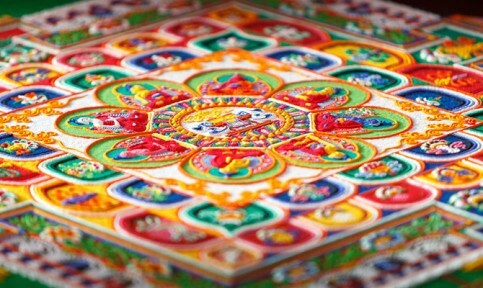 Fortunately, some of the mandalas have been photographically captured in order to view the ancestral masterpieces in their completed form. 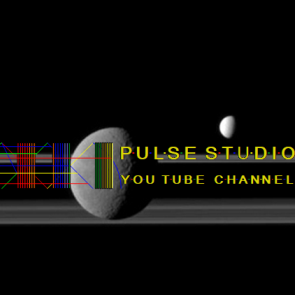 Posted by world.pulse on 30. December 2015.. Filed under Religion,Society. You can follow any responses to this entry through the RSS 2.0. Both comments and pings are currently closed.